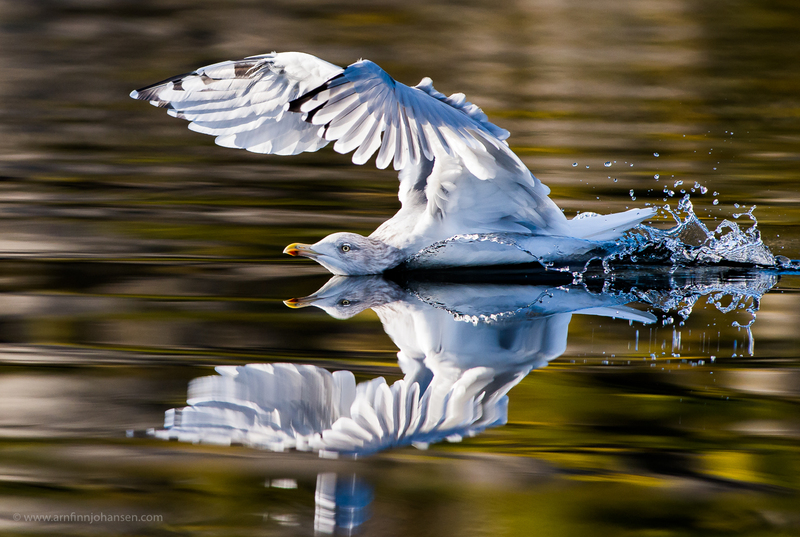 Selected from 18,450 images, I am delighted to let you know that my image “Herring Gull” has been Highly Commended in the Moving Nature category in Glanzlichter European Nature Photographer of the Year 2013. This competition is the second largest nature photography competition in Europe and one of the largest in the world. It is open for photographers world wide, and in 2013 totally 1,149 photographers from 35 different countries – in all 18,450 images – entered the competition. This was my second time participating in this contest, and I feel both humble and proud to receive such a prize. The winning ceremony will take place at the Glanzlichter Nature Photo Festival in Fürstenfeldbruck on the outskirts of Munich, Germany, at 10th – 12th of May 2013. The Glanzlichter 2013 yearbook containing the winning images will be launched on the same day and avalible for purchase at the festival and at www.glanzlichter.com. As a wildlife photographer sometimes you experience what you get is not what you are looking for, but something completely different turning out to be much better! And that exactly is the story behind the Herring Gull image: Last year I was photographing the majastic, near-extincted and now recovered White-tailed Eagle on the Norwegian coast at Flatanger. And yes, we got many great eagle dives, but nevertheless the best part of the day was going back with a lot of gulls following the boat. During half an hour I took more than a thousand pictures of these widespread, common and “boring” Herring Gulls, but these pictures turned out to be much more interesting than any of the White-tailed Eagle images! Thanks to Ole Martin Dahle for a great trip and company. Please click on the image to enlarge and see it in 1400px quality. If you like, please also leave your comments below the image. Highly Commended photograph in Glanzlichter European Nature Photographer of the Year 2013. Nikon D4, Nikkor 300/2.8 VRII + 1.4 converter, 1/8000 sec at f/5.6. -1/3 EV, ISO 2800.
man har jo sett en del måker i sin tid, men aldri på samme måte som du ser dem Arnfinn – denne var rå – gratulerer! En fantastisk hyllest til en så lite eksotisk og attraktiv art. Dette drar fuglefotografering opp mot et (nesten) absurd nivå, teknisk og komposisjonsmessig. Gratulerer, helt kjempe, du har en egen evne til å treffe. Gratulerer igjen !! Du begynner å få en bra CV etterhvert !!! Great picture Arnfinn!! This is Charlie in winter plumage:-) Time to do more like this and at the moment the fjords are just like a mirror.All the best and all gratulations from Flatanger.